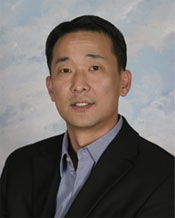 Today's interview is with Peter Kim, CEO of Interpolls (www.interpolls.com), a Pasadena-based provider of rich media advertising products. Peter spoke to us about how the firm's products fit into the rich media advertising industry. Peter spoke with Ben Kuo. Explain what your product is, and how does it fit into the rich media advertising industry? Peter Kim: We were founded in April of 1999, and are best known for our rich media technology. We offer not only standard rich media, but also offer advanced rich media in Interpolls format. What makes us different is we've developed our own proprietary, two way interactive ad server. In technical detail, we're different in that we have HTML-based ads, compared to other rich media providers who are Flash-based. We have the ability to integrate Flash and any other combination of JPEG, GIF, XML, DHTML, or other web based technology feasible in HTML in our ads. It gives us the flexibility to incorporate Flash or future technology and formats. Two way interactivity is also a big part of our differentiation, it allows us to not only serve ads to a page, but also allows user response to that interaction to be sent back to our ad server. That can be used to send back--in real time--more relevant information and features. That also allows for a more dynamic back-end capability, top optimize on the fly and improve results for a campaign while the campaign is running, rather than after the fact. We're able to offer not just standard rich media, but advanced rich media, in addition to features such as promotions and sweepstakes we can offer within the ad format. Most recently, we've added rich media widgets to our offerings. That is basically what it sounds like--it's a widget that can be served in a rich media format. It addresses the challenge of widgets, which is how to distribute and maximize exposure of widgets that marketers create. We figured out a way to make sure that widgets can comply to advertising specs and policies of major portals and publishers, and can syndicate those widgets through the ad serving system. It allows those widgets to be grabbed by users and posted to their preferred networking or personal web page. What kind of widgets are you talking about, and why would a user want to pull an ad onto their own web page? Peter Kim: The features that widget has varies by client. Some examples are a countdown feature which could be used for a theatrical or movie release, or a product release. In addition, you can have content features like videos, downloads, wallpapers, and photos. You can also have content served by RSS feeds. Other types depend on the client goals and objectives. In the theatrical area, you might have a zip code locator or something showing how many weeks until a release. You might have a zip code locator for car dealers. If someone is a fan of a certain movie title or franchise, and they are exposed to the ad unit, they might be compelled to want the widget. They have the option to click on the grab button and select the site you want to post to. Are these off the shelf components you provide, or is this something that is custom-built for each client? Peter Kim: We work primarily with marketers and agencies, as well as major portals. We work with these advertisers to create rich media ad formats to run across their media plan. It's off the shelf for us. Some clients come to us specifying a certain ad format for the ad campaign, but others may not know their exact format. They just let us know that they have certain assets and resources available and their goals, and we try to understand their goals and objectives. The best format is based on our experience and knowledge. So this is a combination of services and technology? Peter Kim: Yes, that's where we find it to be very important to be not just order takers. We're not just taking creative and running with it, we take it one extra step further and share from our knowledge and experience. We want to make sure our clients can achieve their goals, but also learn from the campaigns we are running for them, and help them improve it. Who are some of the clients using your product? Peter Kim: We have a very large base of clients. We work with all the leading marketers and Fortune 500 clients, whether that's T-Mobile, or major studios. Right now we are working with Disney and Warner Brothers for a few titles they are working up. We're also working with a lot of major automobile companies out there. Peter Kim: We had some financing, right around the bubble pop. It was a very minimal amount of financing from angel investors and a boutique VC firm. From 2002, once the bubble popped, we were forced to go into bootstrap mode because of the financing and downturn. We were able to survive it, and we utilized the minimal amount of capital and went into bootstrap mode. We focused on accelerating product development, launched it, and started generating revenues on our own. From that point, we are able to fund our own growth and expansion. There seem to be lots of company in the rich media and online advertising area, what's keeps you above the crowd? Peter Kim: We feel very confident in our position in the rich media space. There are only a handful of rich media providers, and we are considered a Tier 1 provider. All of us have been around since 1999/2000. We have relationships with the major publishers and portals, and we're not only just certified to run there, we've also got pricing relationships. For example, they offer our products and technology to their clients, and they will cover the cost to those clients. Our technology is not only accepted and used widely, but it is also proven. It was a big challenge for rich media providers, and from 2001 to 2005 we were all working very hard to establish the rich media format and show the overall industry that it was a proven format. Now that it is established, we're constantly looking at innovation. We're a technology company. We like to push the envelope, and are doing things that haven't been done before--thus our rich media widget. For example, with the sweepstakes and promotions and our interactive media products, we are doing lots of integration of TV-to-internet type features. A good example are the TV shows you'll see--for example, Last Comic Standing and the Miss Universe Contest -- where we are the back end engine, collecting votes, administration, and filtering and determining the winner. We will also be adding ad formats next year in the mobile space.